SCCLF has been named one of 20 finalists in the Communities Thrive Challenge, a $10-million funding opportunity launched by The Rockefeller Foundation and the Chan Zuckerberg Initiative. 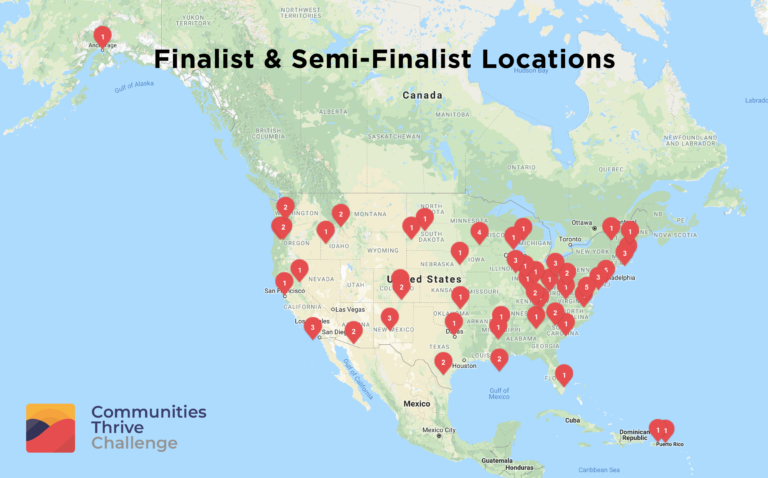 The Communities Thrive Challenge is an effort to find and support successful, community-driven approaches to expand economic opportunity for low-income and financially insecure people and communities across the U.S. As a finalist, SCCLF will advance to the final round of the Challenge, and host a site visit at the end of September. The visit will allow The Rockefeller Foundation and the Chan Zuckerberg Initiative to see SCCLF in action and get to know our team and community. If selected as one of ten grantees SCCLF will receive a $1 million grant from the foundations, tailored technical assistance, and an opportunity to share our stories on the national stage. The $1 million award has the ability to have a broad and deep impact on the entire state population of 5 million. Based on a recently conducted demand survey, SCCLF projects it will receive loan requests of nearly $59 million from organizations across the state over the next three years. The $1 million award would directly increase available financing capital and allow us to grow our staff capacity to in order to meet this need.